Have you ever wondered what to do with those CD’s that won’t work anymore or you just do not want? I have made some crochet CD Coasters! I love the way they look and also the way they soak up any extra moisture that comes from the condensation on a glass. 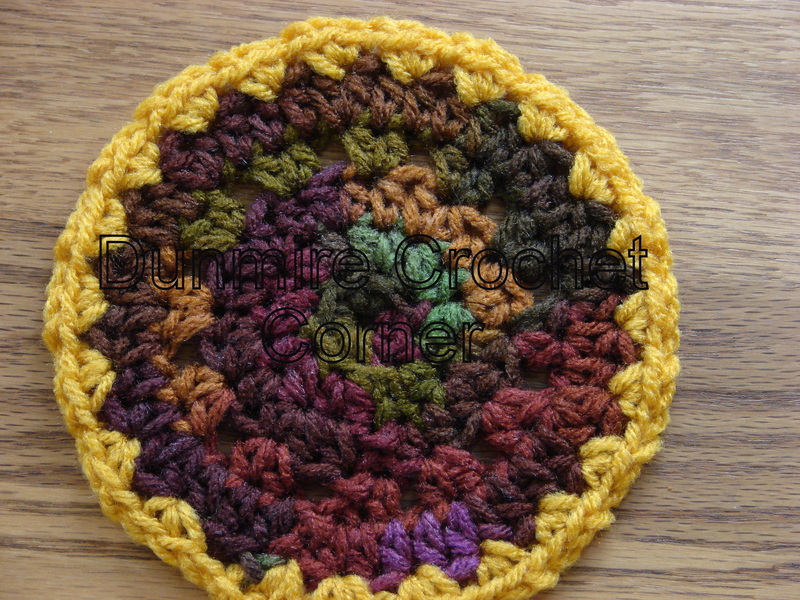 What I do for a CD Coaster is crochet in the round to make a circle. I make 2 of the circles and put the CD in the middle and sew together the outsides and Viola a CD Coaster! A simple way to use those old CD’s. Here are some more great ideas on what to do with those unwanted CD’s. Here are a few of my favorites! Beaded CD Ornaments | FaveCrafts.com. Recycled CD Holiday Ornament | FaveCrafts.com. Recycled CD Greeting Card | FaveCrafts.com. Quilted CD Ornaments | FaveCrafts.com. Recycled CD Letter Holder for Mom | FaveCrafts.com. CD Case Picture Frame | FaveCrafts.com. Thanks for stopping by!! Hope you have fun with these craft ideas! More TMNT Power! A Crochet Beanie Hat!! This Project came to light because of my son. 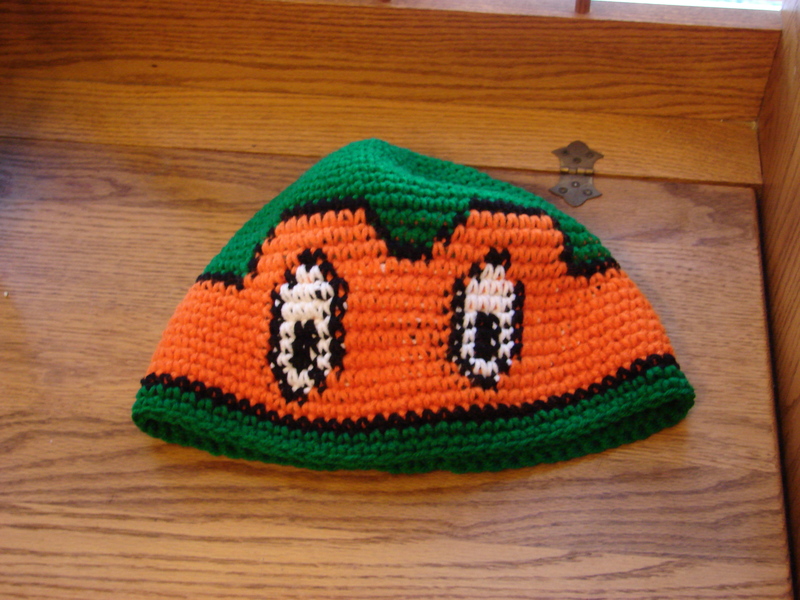 He saw a picture of a TMNT Beanie Hat and posted it to my Facebook page. Above the picture he posted was the comment Me? I then commented back and said I take it you want me to make you one of these! His post back was yes and Michelangelo please! I thought it was comical. 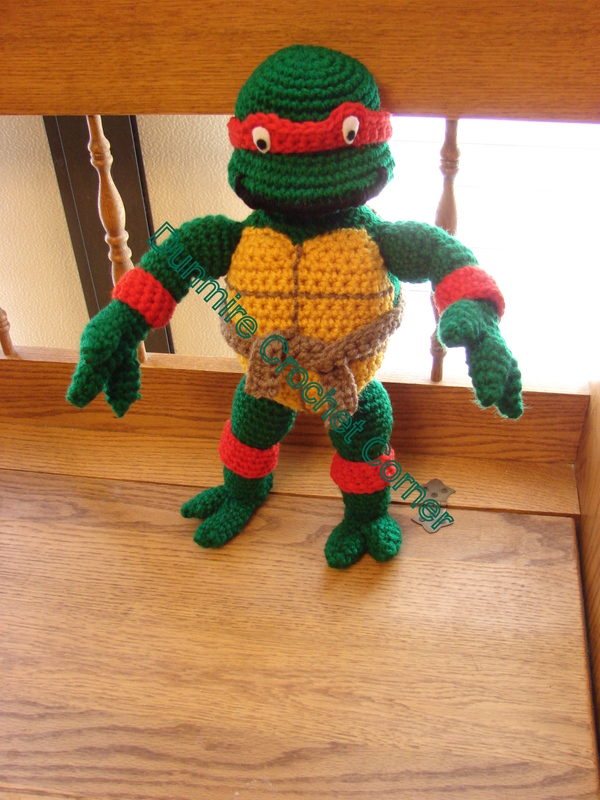 I have to give him credit for quite a few of the ideas that I have on what to crochet and what I come up with for designs. 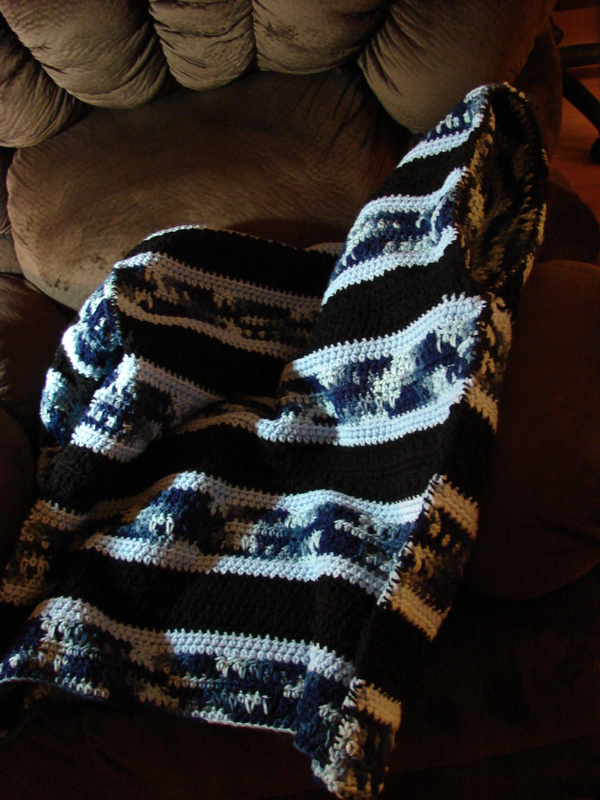 He does end up being the person that I try out a lot of my patterns on. 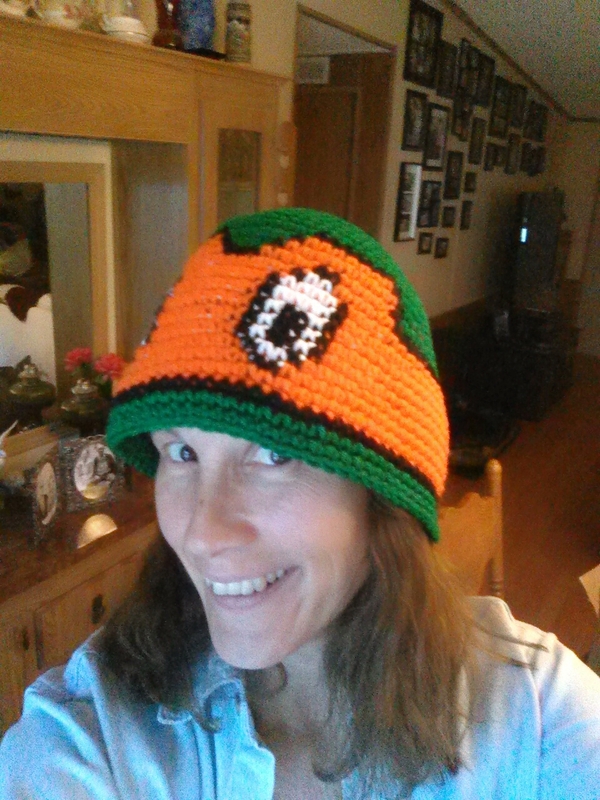 The picture he posted was a Beanie that was Knitted, so my challenge was to come up with a crochet version. 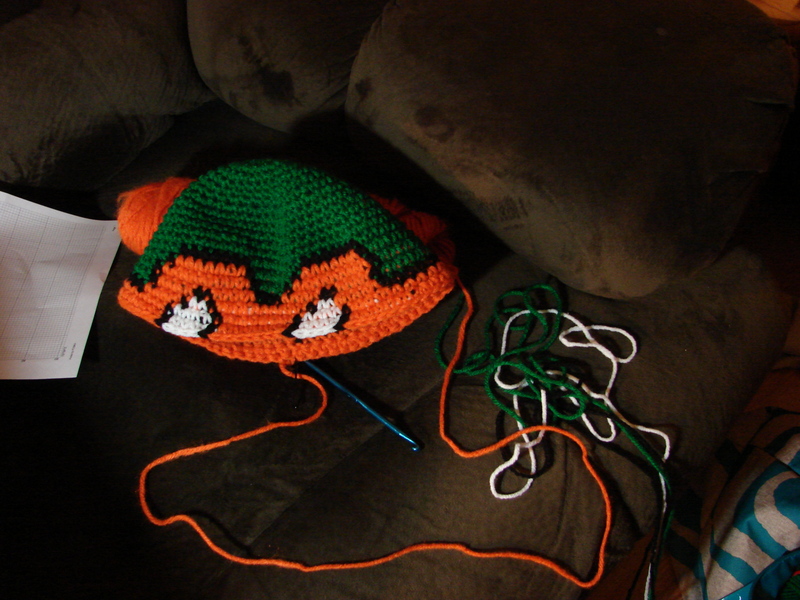 The making of the Beanie was easy for me, the hard part was getting the design created for the mask on the TMNT Beanie. I ended up redoing it 3 times before I was satisfied with the finished design. 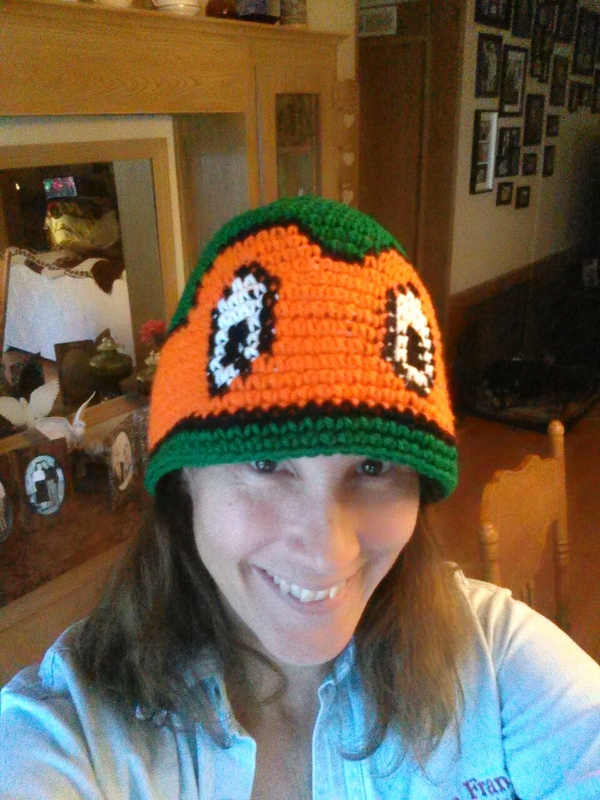 The TMNT Crochet Beanie finished! I sent a picture to my son and he told me he loves it and can not wait for me to send it to him. I was happy to hear he liked it! When coming up with a design I sometimes come up with good ones and then there are times that I end up having them flop! My son will let me know what he honestly thinks. I like that because I am able to have someone I can bounce ideas off of and know that I will get constructive criticism from him. Would love to know what you think about the TMNT Beanie! Thanks for taking a look and Have a Wonderful Day!! Here is the hood to the sweater after I had it sewn together. 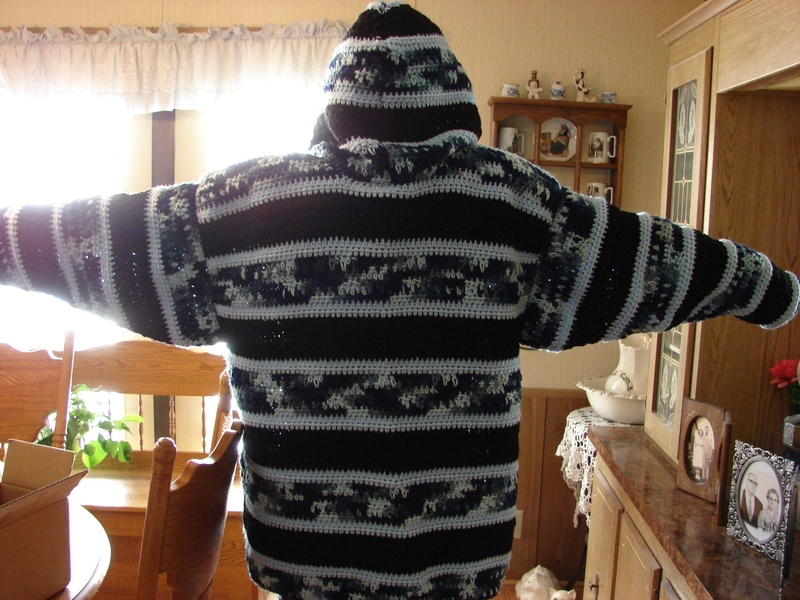 After I had the hood finished I started sewing the body of the sweater together. 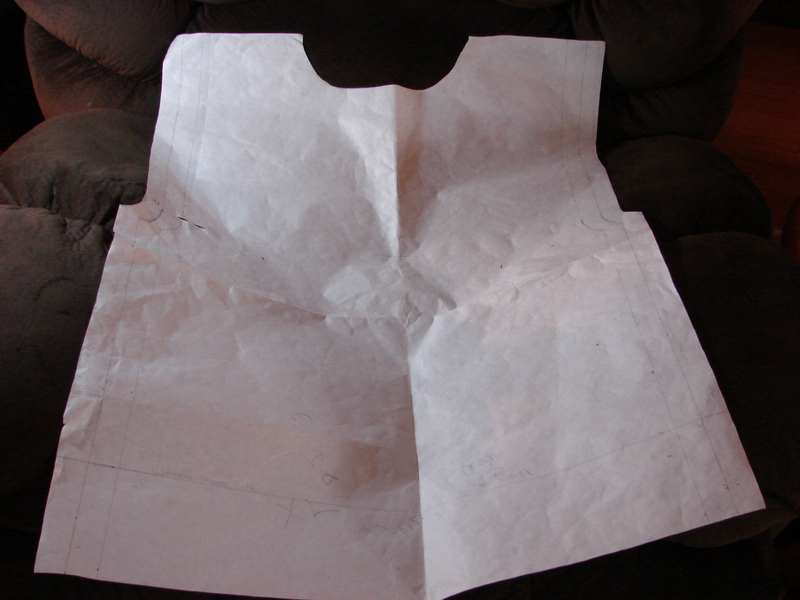 Once the sides on the body were sewn together I then started to sew on the sleeves. Here I have one sleeve sewn into the sweater. 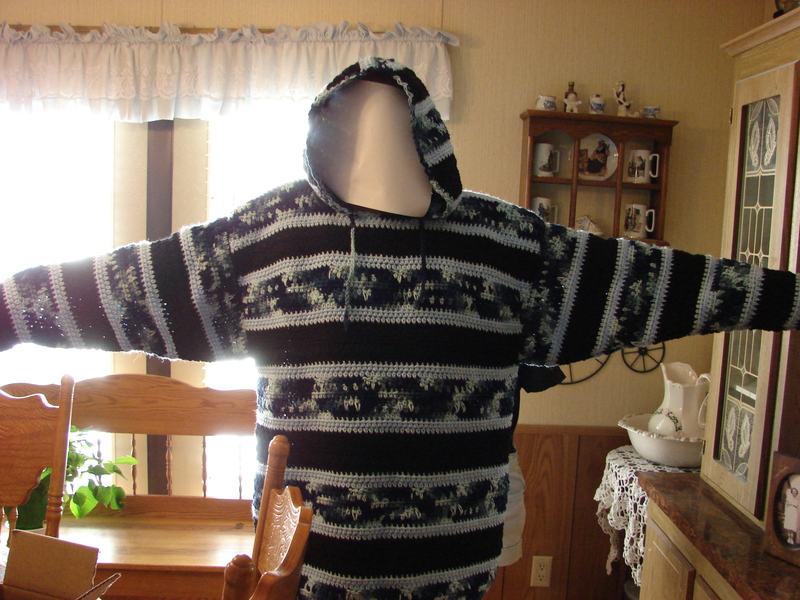 The sweater is sewn together with the same yarn that it is made from and a yarn needle. This picture shows the other sleeve being sewn into the body of the sweater. The sweater is all finished! My husband is the reluctant model who did not want to have his face in the photo so he came up with the idea of putting the paper in front of his face inside the hood! lol I can honestly say that I was laughing the whole time I was taking the pictures! This sweater is also listed in my shop at www.etsy.com/shop/Dunmirecrochetcorner Thanks for stopping by and taking a look!!! As this Friday draws to a close and evening approaches I thought I would bring you along with me on what happens when I make a Sweater! 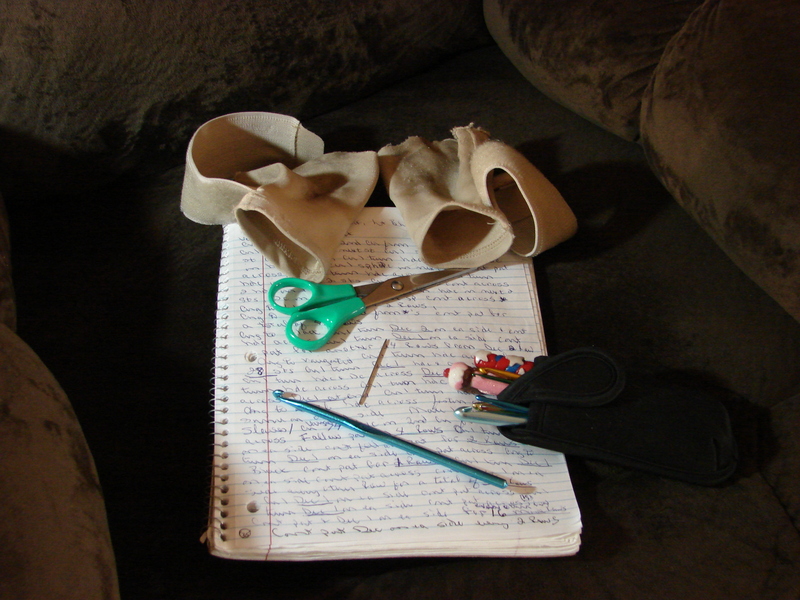 This is part of the pattern process that I use. This is where I figure out what I want for a stitch and what size the sweater is going to be. You can see it does remind you of a sewing pattern. 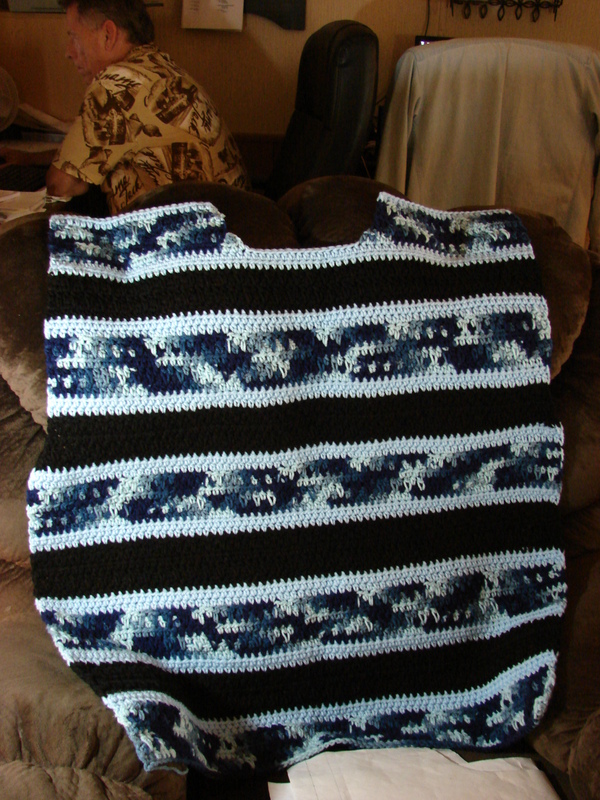 Here I have the Front of the Sweater finished. It does take me a while to finish each piece for this sweater. The making of this Sweater from start to finish takes me approx 25 hrs for a size Med. 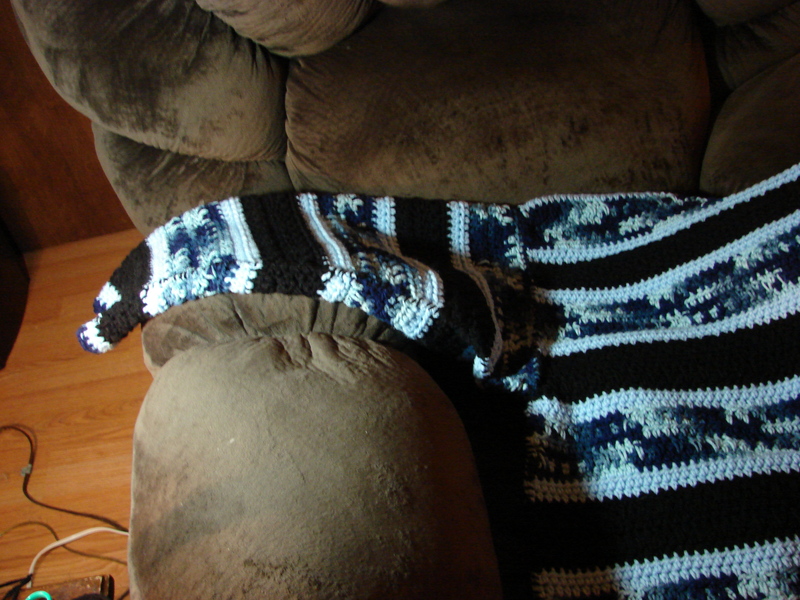 It does depend on the size of the Sweater as to how long it takes me to finish it. 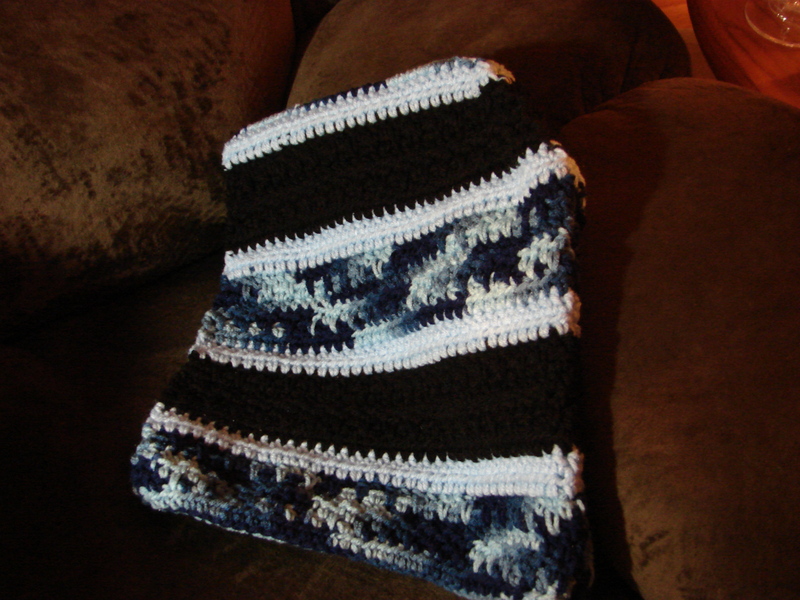 I love being able to try out different colors and stitches to see what I like or I think someone else might like. It is amazing and fun when you start to play around with colors and you find out what ones blend well together. You sure can come up with some crazy combinations! Halloween has always been one of my Favorite Holidays to celebrate! As I am on the computer I am now listening to Halloween songs! 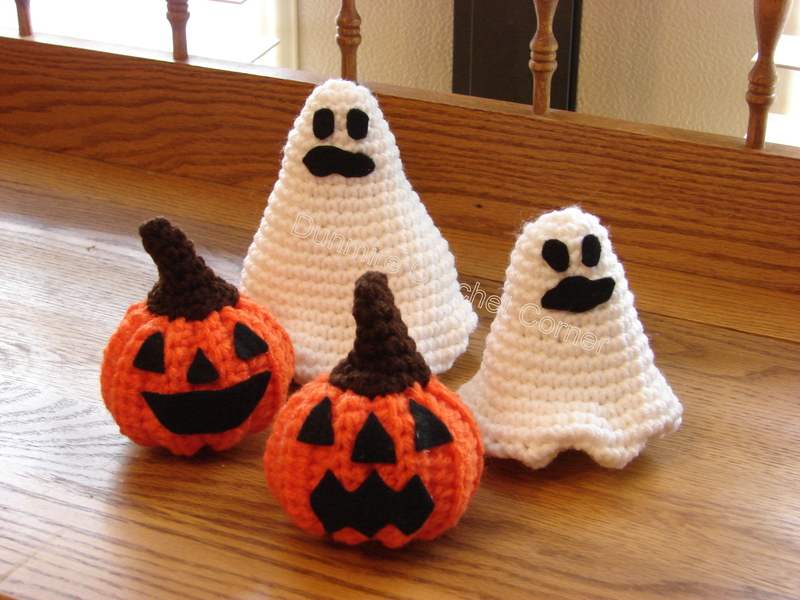 I wanted to come up with some decorations for Fall and Halloween around the house and of course it was going to be crocheted! 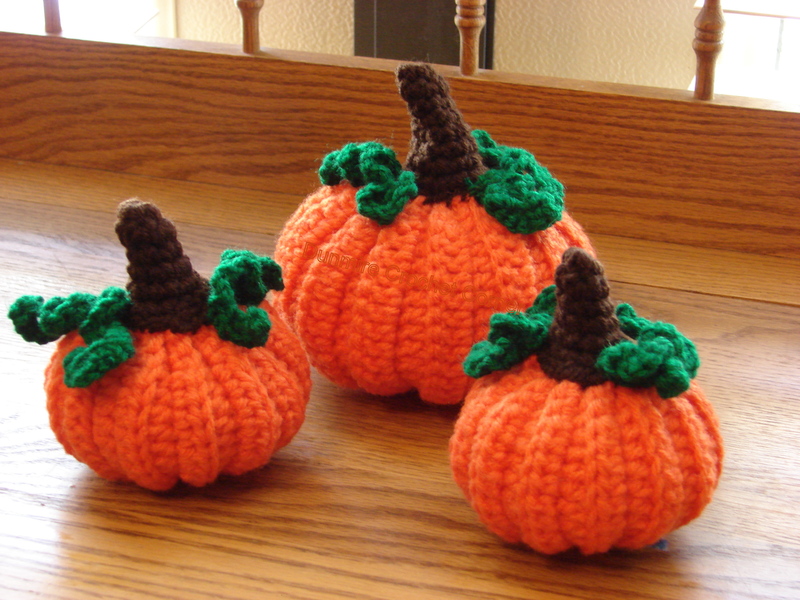 🙂 This Pumpkin set was fun to play around with and simple to make. Another aspect of Halloween I love is the Jack-O-Lanterns and Ghosts! On another note seeing that I already had the pumpkins done and I figured it would not be too difficult to add felt on them to create jack-o-lanterns! The Ghosts on the other hand were a different matter. It took me some time to figure out a design for them. I had the most trouble figuring out the bottom of the ghost, but as you can see I did eventually win and I finished them! Here a Few Fun Facts about Halloween! Did you ever wonder how Orange and Black came to represent Halloween Colors? The Irish carved Turnips and put coals or small candles inside. They were placed outside their homes on All Hallow’s Eve to ward off evil spirits. They were also known to use potatoes and Rutabagas. When Irish Immigrants came to America, they quickly discovered that Jack O’Lanterns were much easier to carve out and began using them. This truly neat tradition quickly spread to the general population in America and elsewhere. Others believe that the first Jack O’Lanterns came from the Story of Stingy Jack. The custom of wearing costumes or masks comes from the Celtic tradition of young men impersonating evil spirits by dressing in white costumes and blackened faces or masks in attempt to ward off the spirits. Here come Donatello, Raphael, Leonardo, and Michelangelo! This is the pattern I had designed after the original TV Series in the 80’s. It seems these days the Teenage Mutant Ninja Turtles are everywhere! My sons grew up watching the Turtles. I had always thought they were cute and of course they were fighting off evil crime! I had fun creating this pattern seeing what I could create. I was also a fan of the TMNT’s! I do have these adorable guys available in my Etsy shop. If you have any questions please feel free to ask or let me know what you think! 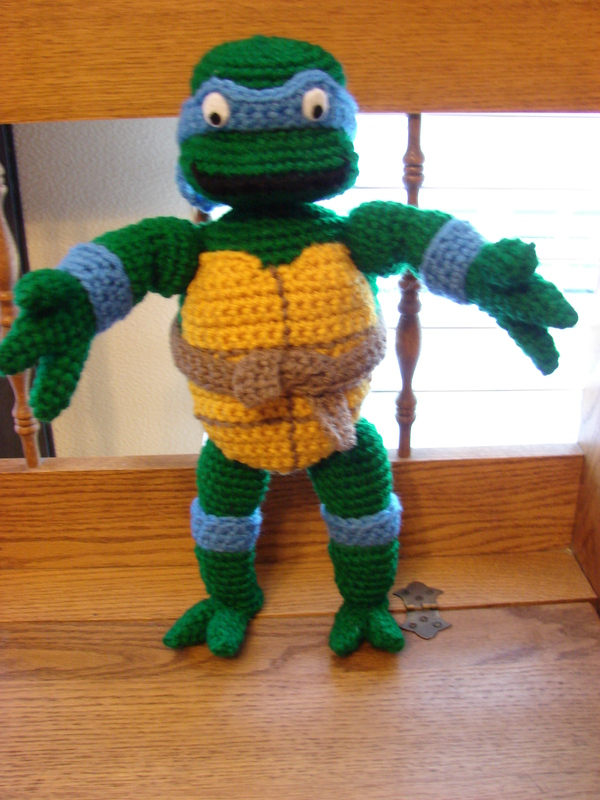 In the 1987 TV series‘ theme song lyrics, Leonardo is said outright to be the leader of the TMNT, and there is little disputing this; his orders are usually followed, and he is a very serious do-gooder who hardly ever makes wise cracks. In one episode, he suffered a crisis of confidence and left the group to do some soul searching; his brothers all tried their hands at being the leader in his stead, only to find that none of them could match his leadership skills, and he came back to them. Michelangelo’s persona became strongly established in the 1987 animated series. He was often seen as a “Party Dude”, which, though accurate in the 1987 series (which gave him this title in the theme song), accounts for only part of his personality otherwise. As the “party dude”, he usually didn’t have much input in the team’s plans, although he was still just as active as his brothers. He typically spent much of his time joking and socializing with other characters. 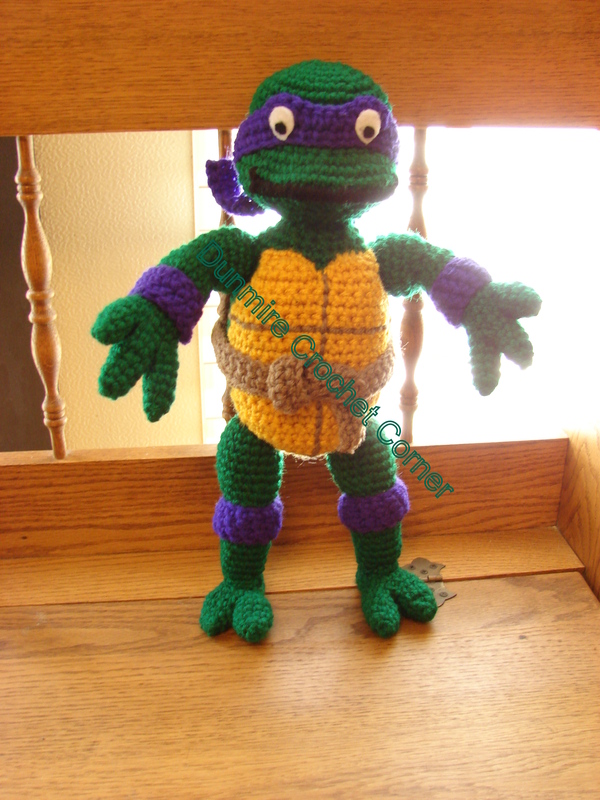 He is most associated with the “Cowabunga” expression that became a pop culture phenomenon. The 1987 animated television series depicts Donatello as a genius who invents many of the turtles vehicles and equipment including the Turtle Van, the Turtle Blimp and the Turtle Com. Unlike the 2003 series his other minor inventions often malfunction, but many of them end up serving a practical purpose. Raphael’s personality in the 1987 animated series deviates the most from all other incarnations. The show’s theme song states that Raphael is “cool, but rude” (he takes a slice of pizza with his sai and shoves the rest of it onto the screen), as opposed to being angry and sullen as in other versions, since the series is based on humor. Raphael is a sarcastic wise-guy, and supplies comic relief alongside Michelangelo, whose humor is usually attributed to his ignorance and spaciness. 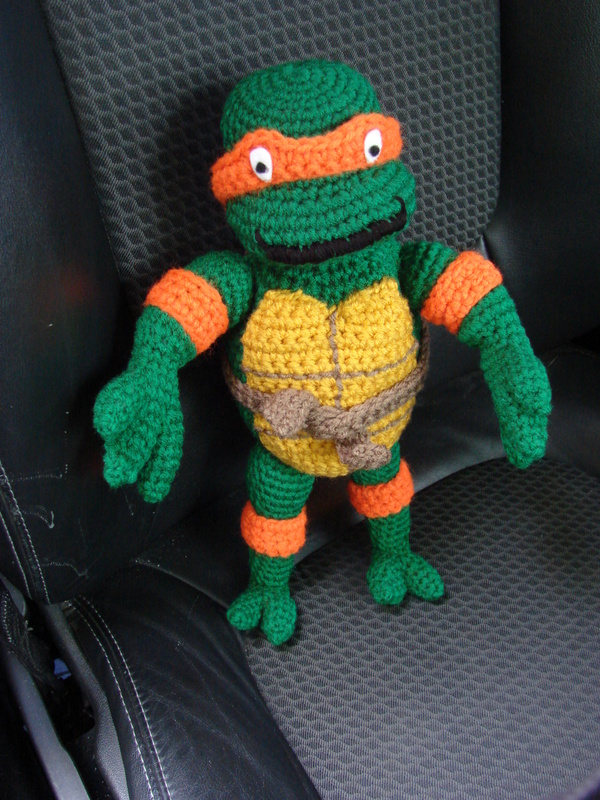 As a result, Michelangelo is the subject of Raphael’s jokes more than any other Turtle. He frequently makes jokes that break the fourth wall.